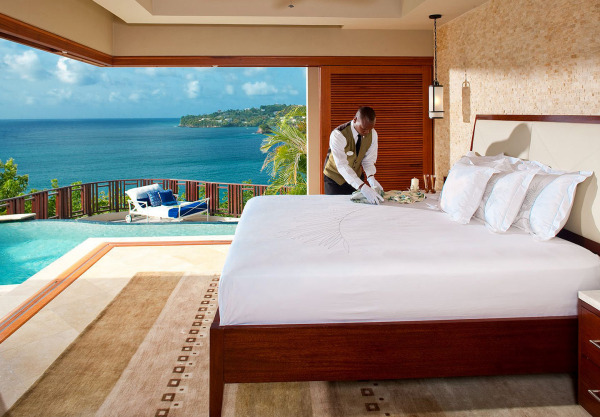 Sandals Regency La Toc in St. Lucia is one of the more sophisticated of the 15 Sandals Resorts. I love this resort for the food and the bluff views. Check out this video about the resort and then read on for more detail. 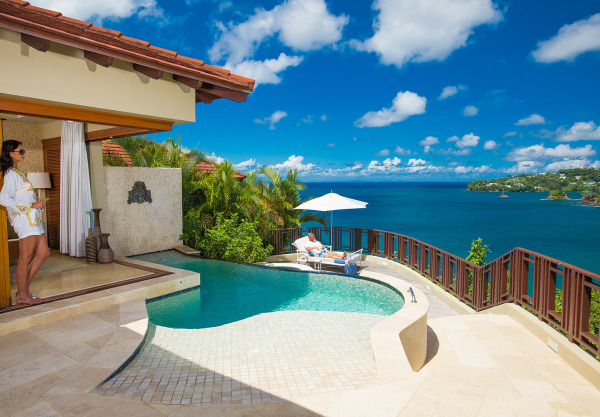 St. Lucia is a very lush and tropical island in the Eastern Caribbean. England and France fought for nearly two hundred years over beautiful St. Lucia. This dazzling Caribbean wonderland is a fountain of natural treasures - the fiery passions of an ancient volcano, the richness of a national rainforest, and the soothing waters of the glistening bay and sea. 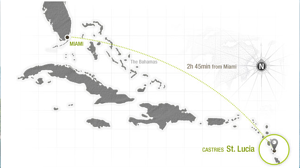 The island of St. Lucia has two airports. 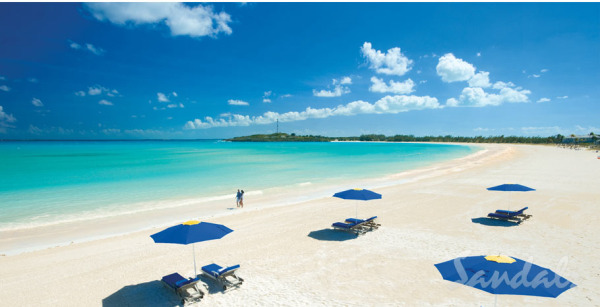 The larger Hewanorra International Airport (UVF) is approximately 90 minute drive from the three Sandals Resorts. 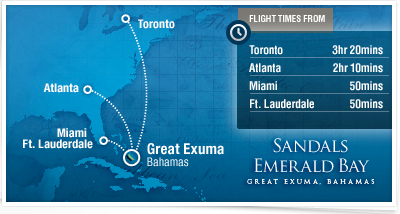 The smaller George F. Charles Airport (SLU) is approximately 10-30 minute drive to the Sandals Resorts. Most clients fly into the larger, International airport. So climb aboard your air-conditioned bus and enjoy views of the island from your included round trip transfer. 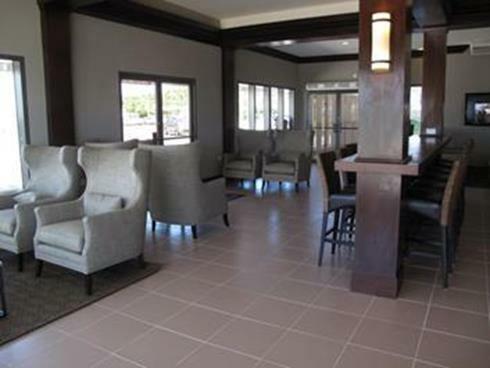 Sandals Resorts boasts an exclusive Arrivals Lounge at the Hewanorra Airport in St. Lucia. 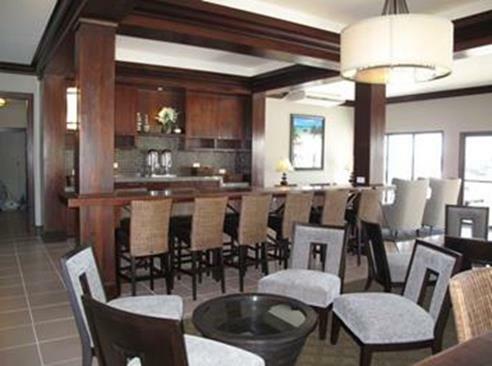 The lounge has interior seating for 50 guests. 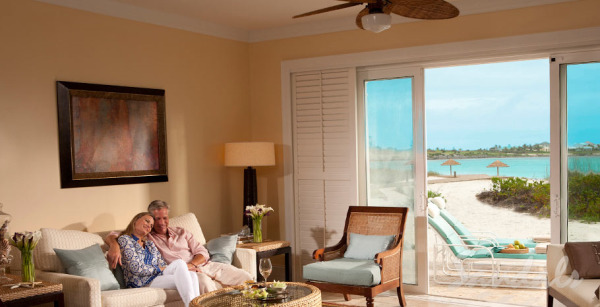 Guests are welcomed into the spacious (1,800 sq. ft.), comfortable, air-conditioned Lounge after clearing Immigration and Customs, where they are offered a choice of rum punch, water, coffee tea and fruit punch. There are also bathroom facilities and guests can relax in the Lounge by watching one of two 50” flat screen televisions while waiting for their bus transfer. The stately palms that grace the mile-long entrance into the legendary La Toc Estate is the awe-inspiring prelude to your Saint Lucia vacation at the Caribbean's Most Glamorous Resort. 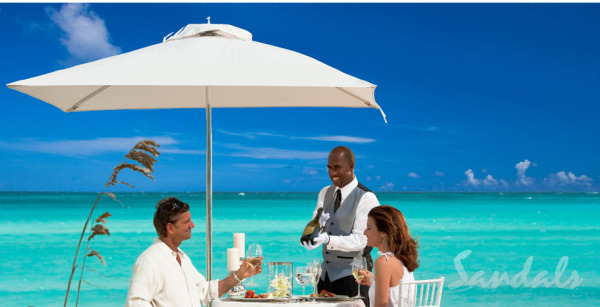 Sandals Regency La Toc is recognized as the most sparkling jewel in the islands. 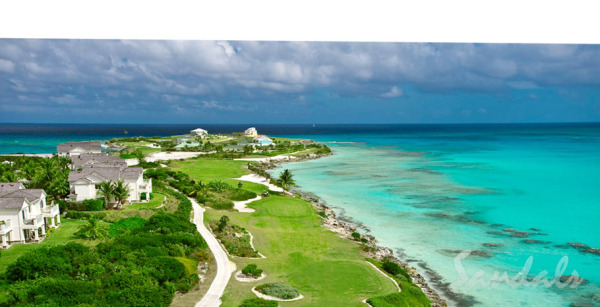 The "Emerald of the Caribbean" glitters invitingly along the half-mile crescent shaped beach, cradling exotic coral bluffs, lush hillsides, and rolling fairways. This magnificent 210-acre estate features the Sunset Bluff Village, a resort within the resort, flaunting breathtaking vistas from bluff-top villas with private intimate pools. 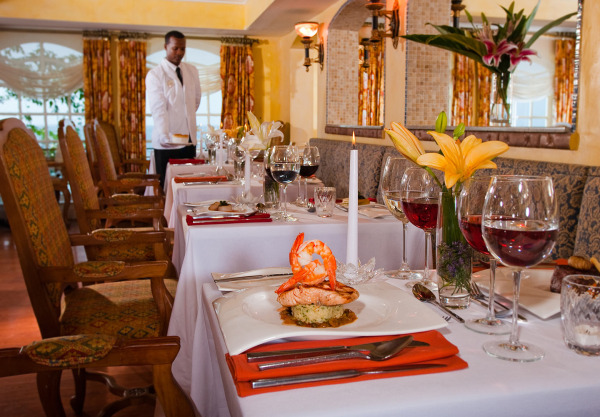 Indulge in Five-Star Diamond French cuisine and other tantalizing cuisine from around the world at nine spectacular restaurants. 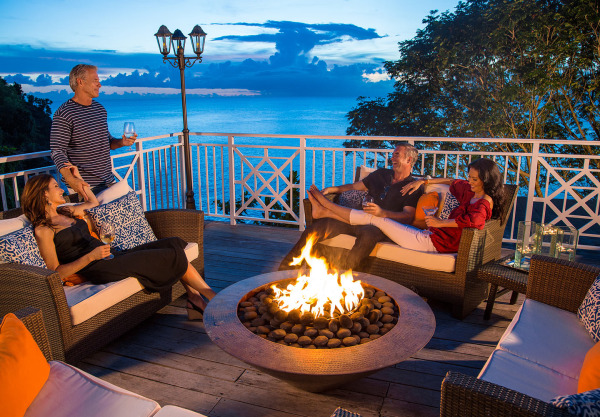 Nestled in one of the most historic parts of Castries, Sandals Regency LaToc Golf Resort & Spa is a highly luxurious resort filled with adventure, romance and relaxation. 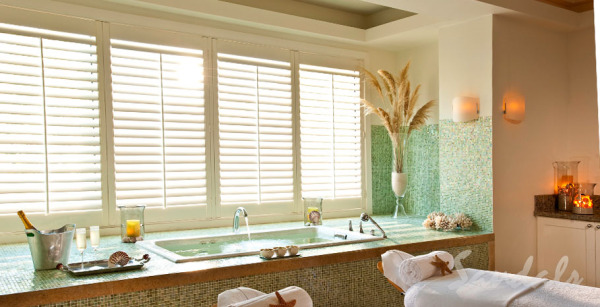 Three magnificent freshwater pools, fifty-five suites with private plunge pools and four Whirlpools. 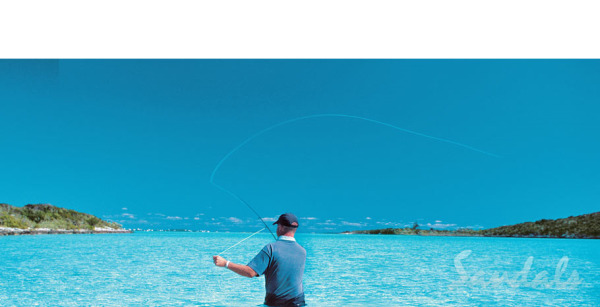 Free WiFi for all guests occupying Club Sandals or higher categories of accommodation. 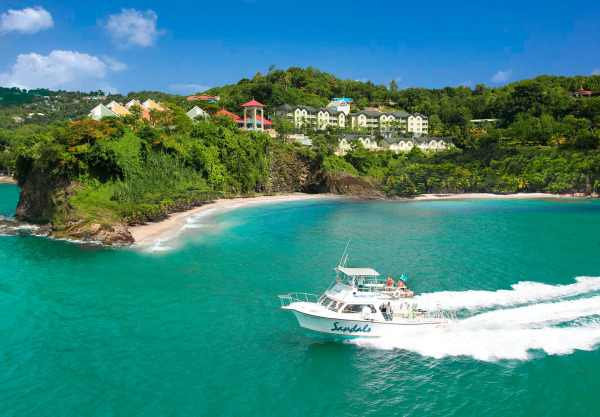 Full exchange privileges with the nearby Sandals Halcyon Beach Resort and the Sandals Grande St. Lucian Beach Resort & Spa, which are approximately a 15-25 minute drive away. 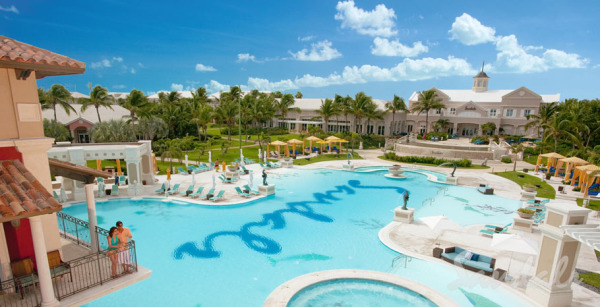 Complimentary transportation between these three Sandals resorts is provided. All rooms include Air conditioning, king-size bed, mini refrigerator stocked with bottled water, soda and juices, extra-large amenity kit, hair dryer, telephone, safety deposit box, private bath & shower, iPod clock radio, Cable T.V., tea & coffee maker, iron & ironing board. 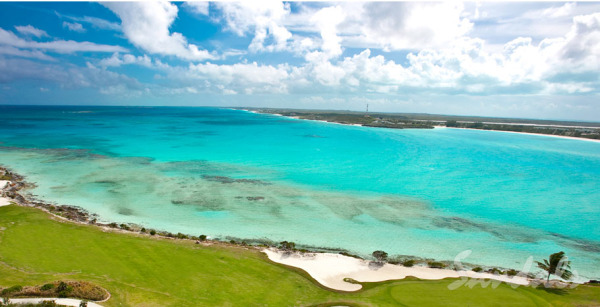 Masters of the game and beginners as well will thrill to the lush landscape of La Toc's challenging golf course. 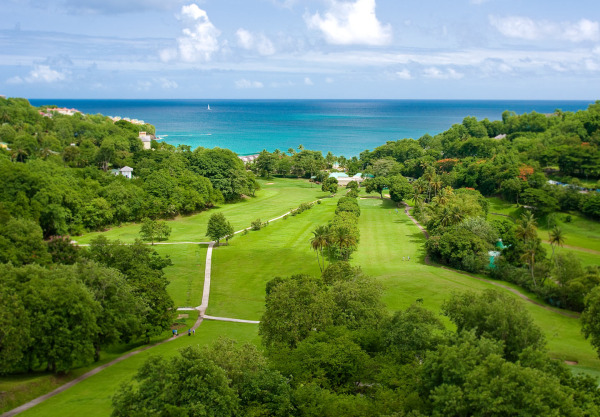 Rolling hills and majestic fairways inspire performance at all levels, and complimentary green fees invite repeat plays at leisure. Short but sweet…this 3,300-yard course challenges you to sharpen your club-selection skills, and several holes demand laser-like accuracy to chart their tunnel-tight layout. On the 8th hole's par-3 downhill, for example, a mere fade or draw could land you in a jungle of white cedars, almond trees and bamboo. All travelers will require a valid passport. No visa requirements when traveling an a passport issues by the United State. Please check for any other necessary visa or documentation requirements. 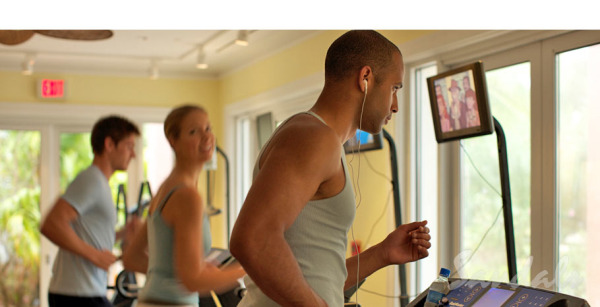 Most public areas of the resort offer wireless Internet access. So do many of the rooms. All guest rooms are wired with an in-room Ethernet jack for Internet access. Simply connect to the network and charge the service to your room. 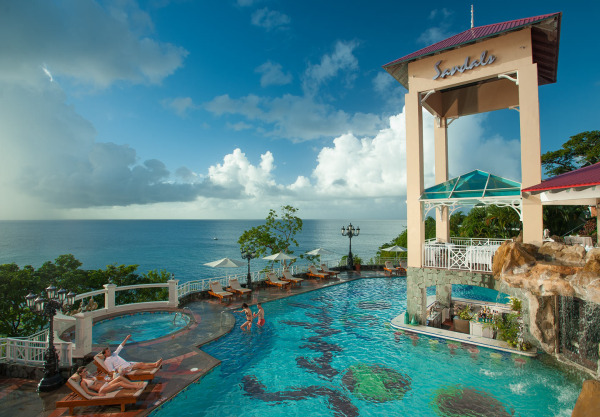 If your plane leaves in the afternoon or is delayed, you're welcome to enjoy the amenities at Sandals Regency La Toc St. Lucia. 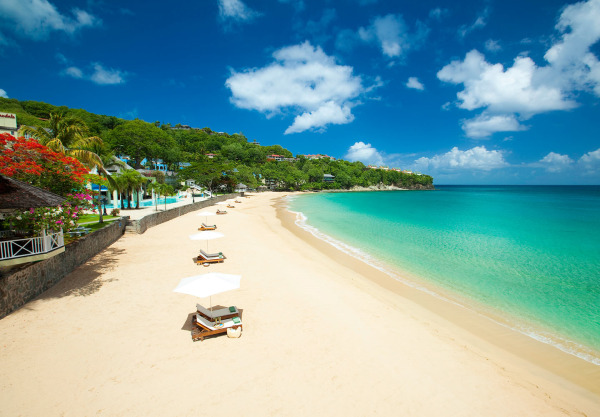 Private Car service from St. Lucia’s Hewanorra Airport to Sandals La Toc is available at an additional cost. Just ask me! 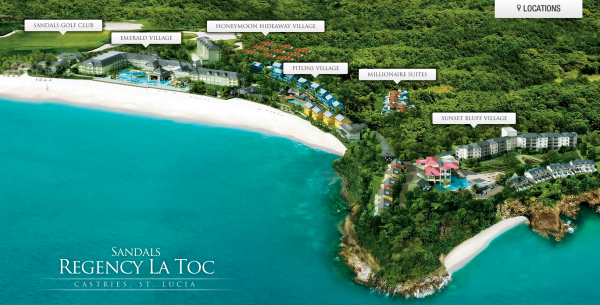 See more blog articles about Sandals La Toc.